Looking to keep your children busy this summer? Check out what Ontario summer camps have to offer and sign up to start your child’s summer adventure. Future Girls Soccer: OAKVILLE – This is a week of soccer for the beginner to the elite. 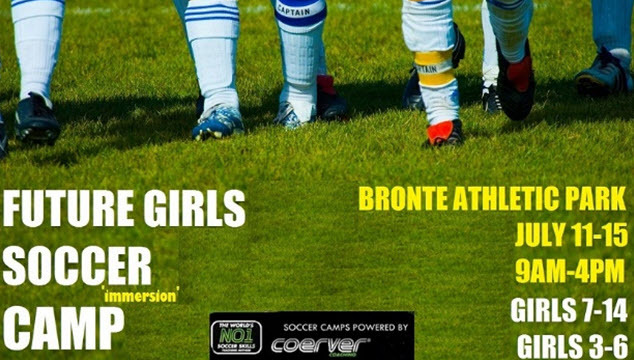 and is for girls who want to learn and improve their soccer skills, their athletic character and their life confidence. We will not take them to water parks, the movies, or trampoline gyms. We will spend time for what you as a parent pay for soccer skills, fun, enrichment, and empowerment by inspiring them, challenging them and educating them. We would tell you to give us your daughter and we’ll give you a new one but we can’t- someone already uses that! 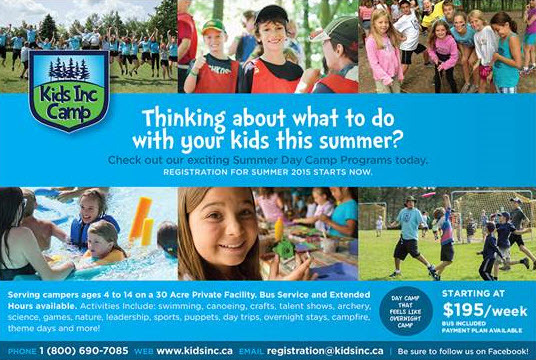 Kids of Canada: Highland Grove – KIDS OF CANADA SUMMER CAMPS offers both day camp and residential overnight camp for children. 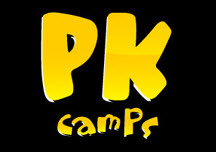 Located in Richmond Hill, Ontario our day camps include Sports Camp, Dance Camp, Hockey Camp and a CIT Program. Located between Bancroft & Haliburton, Ontario Kids of Canada North is the ultimate overnight camp experience with something for everyone. 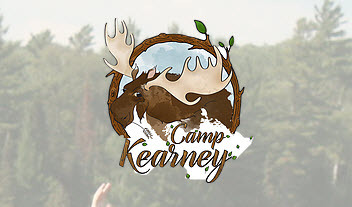 Camp Kearney: Kearney – Camp Kearney has been operating since 2000 at the Scarborough Outdoor Education School. Camp Kearney was created so that children of all ages would have the opportunity to enjoy a memorable summer camp experience. Over the last 15 years, a Camp Kearney visit has become the ideal summer for many campers. 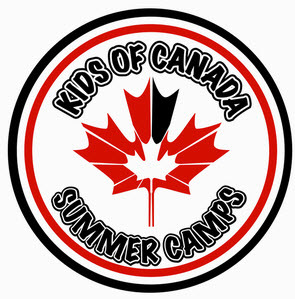 Kids Inc. Camp: Kids Inc. Camp has been providing camp programs for campers for almost 15 years. 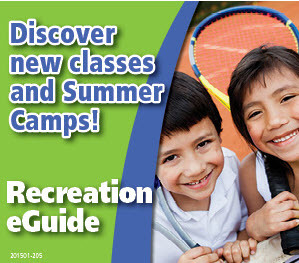 We provide outdoor recreational programs for campers ages 4 to 14. We also provide bus service from all over Guelph, Georgetown, Milton, Mississauga, Brampton, Orangeville and beyond to the camp location each day. This transportation service helps many campers from all over these areas to get to and from camp safely and conveniently each and every day. We provide activities like swimming, canoeing, archery, crafts, nature, forest games, camp fires, talent shows, theme days and more. Our campers love the variety we provide in our programming! Our staff is able to be enthusiastic, fun, outrageous, and energetic each day while still keeping your camper and their safety at the front of their minds. Our campers come back year after year because they love the staff and the program so much. We hope that you and your family will join in the fun. Harbourfront Centre Camps: Toronto – Since 1979, Harbourfront Centre Camps has provided opportunities for exploration, creativity and personal growth within a positive camp atmosphere where participants are inspired through meaningful participation and enriched experiences in all facets of arts and contemporary culture. Camp provides a unique setting in which learning and fun intersect and critical life skills are honed. Therefore, we are committed to creating a safe, inclusive and diverse learning community that allows our participants to learn from and interpret the world in which we live through dialogue, social interaction and facilitated hands-on activities. 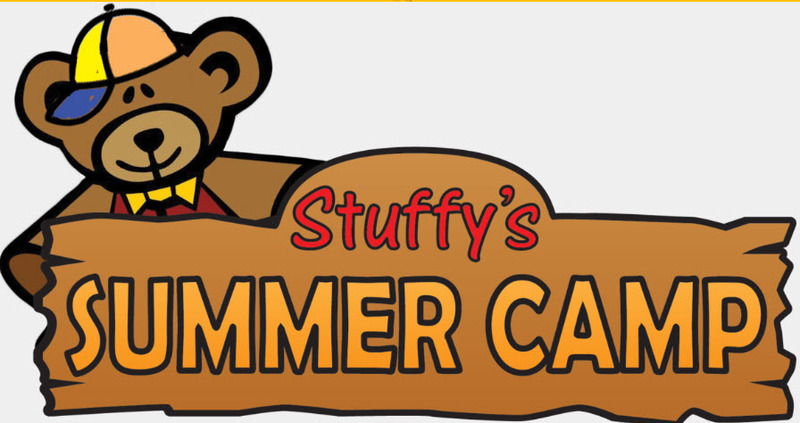 Stuffy’s Summer Camp: Niagara – Stuffy’s Summer Camp is held during the months of July and August at Stuffy’s Fun Station. Each week has a different theme and children will experience an active day with well organized games, crafts, followed by learning lessons related to science, nature and dance. Lunch break (Pizza lunch included on Fridays) is followed by games in the park and swimming. Did we mention that there’s also a giant bouncy castle? Digital Media Academy: Toronto – Digital Media Academy offers hands-on learning and discovery and is the beginning to an unforgettable technology summer camp experience.For students who want a pre-collegiate experience at a college they’re interested in attending or who just want to get away for the summer and explore a new city, we offer you the best of both worlds. Learn on the University of Toronto campus, eat in the same dining halls as U of T undergrads and students ages 12+ can even stay overnight. Toronto Zoo: Toronto Zoo Programs are an excellent way to enhance your visit to the Zoo and gain additional knowledge about the many species of animals and the habitats that they are adapted to. Zoo Programs offer a balance of education and entertainment that helps to make your visit to the Zoo fun and inspiring. All Programs offered at the Zoo are designed to be appropriate for the age of the audience. To discover which programs are available to you, just choose from the list below. Planet Kids: Planet Kids is one of the largest private day-camps in Canada, annually serving more than 3,800 children and youth. Campers can hike, swim, enhance their leadership skills, create a work of art, act & produce, see exotic animals, and much more! We are enthusiastic about providing children a safe, fun camp experience where friendships develop and lifelong memories are created. Camp Olympia: The moment you enter the front gates, you’ll be welcomed by Olympia with open arms.Our staff will make Olympia your “home away from home” as you discover new friendships, new adventures, and new challenges and create memories that will last a lifetime. Over 90 Sports & Activities to Choose From!Olympia offers a wide range of sports and activities, so you can find one that’s right for you.You will receive focused instruction in your chosen specialty, including 5 – 6 hours of skills and games.